While shopping at my favorite Goodwill in Maysville, KY, I found a Strawberry Shortcake valance. Some sweet grandma or mommy probably made it for a little girl's room a long time ago. Not wanting to waste an inch, I spent an evening picking out every stitch. I started playing with the layout. Random is so hard for me. My brain doesn't think that way. So they are kinda organized. 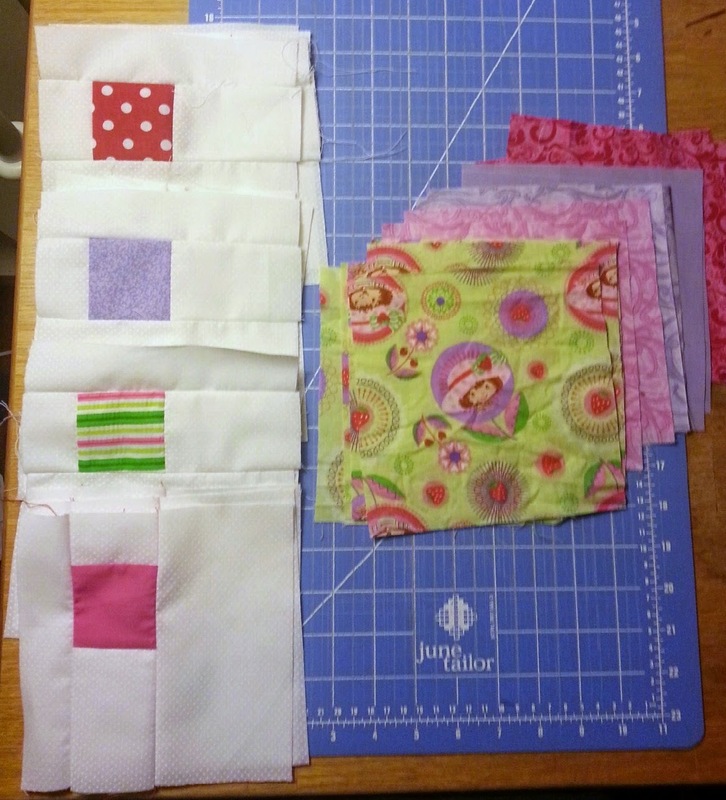 It's all put together now, and I've started the hand-quilting. they're all centered on two sides. Who knew? That is wonderful and what a great way to repurpose material. I don't do random either! looks great! and yay for you salvaging something that was made with love! 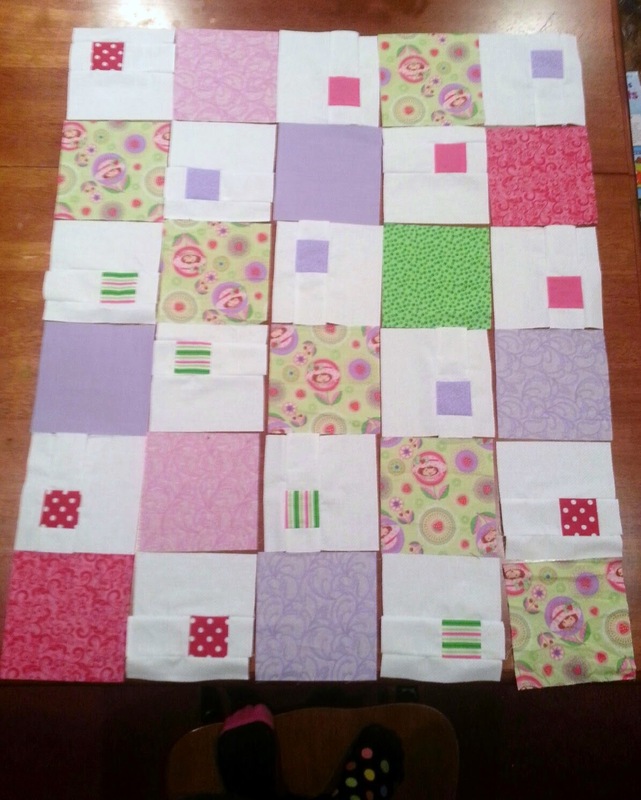 This will be such a cute quilt for some lucky little person. Sweet. I love the pattern - kind of an off set Cobblestone. And finding the fabric to set them - love it. Sweet fabric save...and I live the fabric. What a great way to use up scraps. Well done for repurposing that fabric. Do you think about the person who made an item when you buy it from the op shop? I do. Silly, imaginative me makes up little stories about them. I'm not good with random either. ;) I like how you chose the layout! What a fun way to use up a novelty print. I don't do random well either, my brain naturally looks for patterns, so random just doesn't compute. What a cheerful quilt this will be! What a fun pattern. Love your fabrics. What a cool pattern. This is going to be a sweet little quilt.